Q&A – Your questions answered by David of Davley Organics. Vermicast is the product of decomposed organic material going through the gut of an earthworm. Earthworms process compost and release the nutrient within it in a format that is more accessible to plants to be effectively absorbed. The largest amount of Nitrogen in vermicast is available in plant available formats, Nitrate (NO3) and Nitrogen Dioxide (NO2), whereas the largest amount of Nitrogen in compost and manure is in its Ammonium (NH4) format. NPK (Nitrogen,Phosphorus,Potassium) concentrations will depend on the concentrations of these elements in the worm feed. The important key here being that the worms process it into a format that plants can absorb quicker, more effectively and in greater volumes. 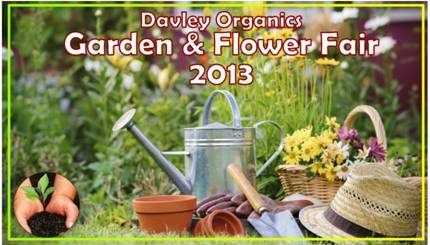 Why is Davley Organics Vermicast better than your standard garden store compost or fertiliser? Compost is simply decomposed organic material, whereas, Vermicast is the excretion produced by earthworms, it is a compound that is a fertiliser rather than a compost. In addition to this, Vermicast enhances and re-conditions soil structure, in other words it will improve the water retention properties of a sandy soil and improve the drainage properties of a clay soil. Its third and most important feature, is that vermicast is not just a fertiliser, but a living fertiliser containing microbes, these organisms have multiple positive effects for the plant. One being to aid in the absorption of nutrients. Microbes attaching themselves to the root hairs of a plant, absorb water and nutrients, then pass it on to the plant. Secondly, these organisms provide the NPK nutrients that plants require, in a format that is easily absorbed. Is vermicast more expensive or the same as chemical fertilisers? When looking at cost it is always important to compare apples with apples so to speak. Gram for gram vermicast is not expensive when compared with chemical fertilisers, but the comparison in itself is not fair. The following must be understood when looking at vermicast as opposed to a chemical fertiliser. 1. Chemical fertilisers provide nutrients for the plants and the plants only, they do nothing for the soil in terms of improving the soils quality or improving its ability to retain or drain moisture. Even slow release chemicals will eventually leach away in the soil over time. 2.Vermicast acts as a soil conditioner and has rehabilitative properties as well as providing the plants with nutrients which aid and improve growth and health. 3.Chemical fertilisers work well to boost certain nutrient levels for a plant but cannot provide sustained nutrition and soil rehabilitation the way vermicast can. We are not opposed to combining certain chemical fertilisers in the feeding regime of certain crops with vermicast, but it must be understood that vermicast provides far more long term positive effects than being a mere fertiliser. 4.Our product specifically contains earthworm eggs and baby worms. This means that our vermicast is a living fertiliser that will replicate itself in the biome of its final destination if the correct conditions are put in place. i.e enough moisture and compost for the worms to process. Vermicast is a natural fertiliser, and because it is the way nature intended, it works 100% with the natural balance and functions of the ecosystem. We believe it to be the most efficient thing to use. How about bugs, does vermicast reduce the instances of pests on the plants? Vermicast acts as an immune system booster in plants, they are more resistant to attacks from bugs, fungi and other plant diseases. Even when they are attacked by bugs they recover a lot quicker and show less signs of long term distress.Bugs tend to attack plants that are in a weakened state as the cell walls are softer and more easily digested. Plants being fed vermicast are thus less appetising for bugs. What is the benefit of Worm Tea? 1. It works well as a foliar feed and is an excellent additive to boost the plants in Spring or to nurture them in Winter. The microbes that filter down to the roots will provide the same benefits as those in vermicast. 2. Worm tea works well in hydroponics as a liquid fertiliser and also in potted plants where you do not want worm colonies breeding out and causing the plant to become too root bound because of the restrictive growth area. Can you use just one or the other? My recommendation is the following: Vermicast is your primary option for planting in a flower bed or veggie garden etc. Worm tea can be added to these plants in these settings as a booster but will be less effective if applied on its own. Remember you want to create a fertiliser generating colony in your garden, orchard or plantation. Tea is very effective in instances like hydroponics or potted plants where it is applied as a liquid fertiliser instead of vermicast and as an added booster to plants already being fed vermicast. Worm Tea is like rocket fuel for plants in a similar way that fertiliser is, the difference being that Worm Tea has the added benefit of the microbes that support the plants development.